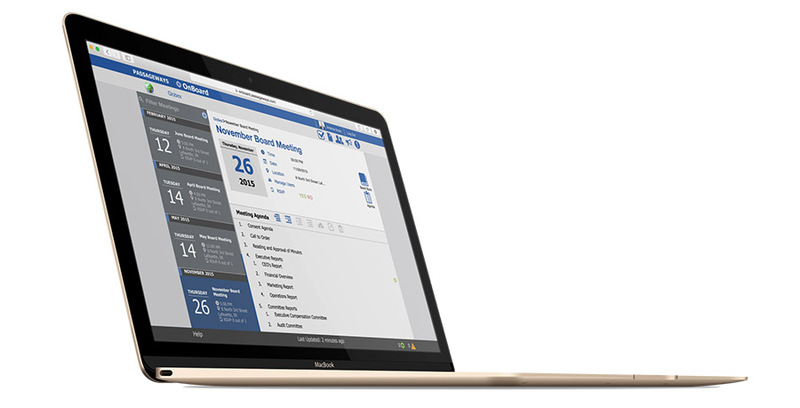 We are pleased to announce new features for OnBoard board portal product. Companies will now see their positive impact on the environment with the inclusion of a continuous rolling counter of how many trees saved through use of OnBoard instead of paper. Not only does this feature offer an unprecedented look at your environmental impact, it also provides you a real time understanding of the money you saved from no longer printing, binding, and throwing away board book after board book. As of July 29, 2015, OnBoard has saved 10,377,601 pages of paper, totaling 1156 Trees. The OnBoard update boasts several innovative features. Maintaining legal compliance has never been easier with the introduction of an archive feature, ensuring meetings cannot be altered. A groundbreaking new meeting roller introduces a more intuitive and logical display of upcoming and past meetings. An efficient new planning feature allows board book creators to chart the duration of individual sections of a meeting, ensuring that they continue to move apace.